What I want to do in my 10 mins is to explore another possible route through what Dave Beer has termed ‘punk sociology’. 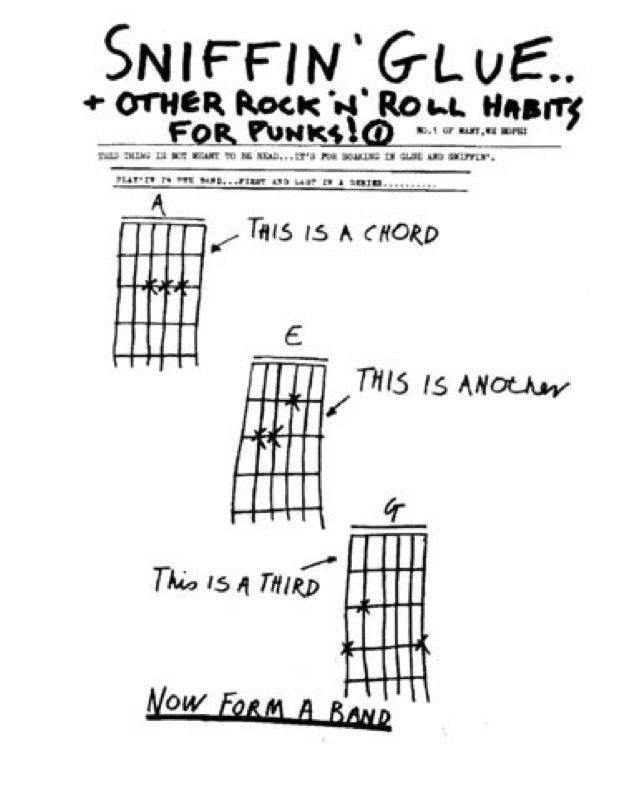 Taking a punk ethos, perhaps best encapsulated in this cartoon from the Sniffin Glue fanzine this cartoon from the Sniffin Glue fanzine, punk sociology called for a similar boldness among sociologists in order to reinvigorate the discipline. The book’s central argument is that ‘the attitude and sensibility of punk can productively be used to regenerate and energise the sociological imagination’. Beer argues that the lessons that can be learned for sociology from the punk attitude are: DIY ethic, the breakdown of barriers between audience and band, and open-ness to other music. When reading the book, which I like, it struck me that feminism has being doing punk sociology for a long time and that isn’t really explored in the book. Also, if you read Viv Albertine (of The Slits) book, the experience of women in the 1970s punk movement doesn’t chime with this idealistic rendering – but that second point is for another day. My take on punk sociology comes through a different lineage. It comes filtered through the riot grrrl movement of the 1990s which inspired me and my friends to form a band when I was 15. Riot grrrl took punk’s DIY spirit – which manifested, for example, in the fanzine culture, mode of production and aesthetic (see our debut single on the left, I’m the cat in the feather boa) – but fostered a more communal approach to music making and doing. It had feminist politics at its core, as encapsulated in the shout ‘girls to the front’. When my teenage band got together we couldn’t play our instruments but we learned how to play together, through learning from each other. The reason we felt equipped to form a band had a lot to do with a DIY sensibility that valued creativity over technical proficiency. Collaboration – and feminism in the face of a male-dominated music scene – was absolutely key to this and that is something I want to emphasise here, following on from Hannah [who was speaking just before me of the need for non-heroic sociology and about when to speak up in public debate]. Feminist collaboration and collective working strikes me as a quiet kind of rebellious – and unheroic – sociology. I think it is important because of the individualising times we live in, both in universities and beyond. Firstly, following on from Hannah, we are encouraged by the current academic system to market ourselves as lone wolf heroic researchers in order to get jobs, to be ESRC ‘Future Research Leaders’ or British Academy ‘Rising Stars’, or even Harvard ‘Geniuses’. This is all a very individualistic and potentially seductive model of doing research. Yet some of the best work is done collaboratively. I think it’s politically important within sociology to argue for collaboration and to present collaborative work as such and not parcel it up in individual packages for the sake of presentation. The times we are living through require sociologists to operate in different kinds of temporalities at once. Kirsteen Paton captures this beautifully in her blog for the Sociological Review on ‘getting real’ where she suggests sociologists learn from the fast organising of those who are currently resisting and use the tools we have to hand – this echoes Les Back and Nirmal Puwar’s call for ‘live methods’ for sociology that intervene in real time. We have to be quick-footed as researchers and this can often be more effectively done through collaboration with other academics and with other groups. This co-production was between the participants and the team of three. One practical reason for working collaboratively like this is it allows us to do the work that needs to be done, at the time when it needs to be done, without creating a huge workload for one person. It allows us to think on our feet and to respond. The second example comes from a piece of work I have been involved in on ‘Mapping Immigration Controversy’. The initial impetus for this research was a Twitter conversation about what we as sociologists could do in the face of ‘Operation Vaken’ a Home Office initiative that involved immigration checks at public transport hubs and what became known as the #racistvan, the van mounted with the board reading ‘In the country illegally? Go home or face arrest’. In order to capture what people on the street thought about these interventions, an assortment of academics and activists got together and constructed and carried out a survey. Again, this was a fast response to an unfolding event. Following this, Hannah saw the new call for the ESRC ‘Urgent Grants’, marking a realisation by the funders that some research is time sensitive, perhaps. Some of us put together a proposal, working in partnership with community groups from the outset, and were successful. We not only carried out that research together but have collaborated on a bunch of other things including a blog which tracked our research as we carried it out, public events, and we are currently finishing a book. We also commissioned a film to represent our findings. The digital age makes it really easy to both collaborate and communicate results in different kinds of ways. I was recently inspired by an example of old school DIY – a pamphlet – but which is also circulating online. This example comes from SARF‘s research and is based on a project examining stigmatisation and economic marginalisation of ‘white working class people in Salford and Manchester’. As well as a long research report, those involved wanted to produce something that could circulate in a different way and that was more immediate, taking inspiration from Emory Douglas, the artist of the Black Panthers. 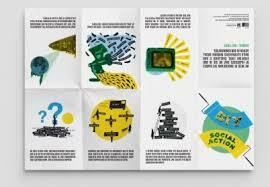 You can read more about how this booklet was generated through workshops here. Present conditions conjure competition and individualisation among academics. I’m not suggesting people don’t apply for individual fellowships with embarrassing labels or sell themselves as a ‘rising star’ in a job interview situation. The problem is when we start believing those stories that we tell about ourselves. In order to produce the kind of research that is vital for the times we will need to work together and resist this. Later on, after this talk, I learned via Twitter of #ResSisters, a collective of early career feminist researchers who are challenging individualised modes of production in the contemporary university – and crucially speaking up about the ways in which these modes are gendered. You can read and watch Victoria Cann’s Pecha Kucha on this here. The first point on their manifesta is ‘Embrace collectivity and embrace allies’. I finally got round to putting up my current research project on the Goldsmiths Sociology Research pages. ‘‘The Choreography of Everyday Multiculture: Bowling together?’ is a multi-method ethnographic study of a bowling alley in the heart of a fast changing urban neighbourhood in London and is funded through the Economic and Social Research Council’s Future Research Leaders scheme. This research starts with a seemingly ordinary place, a bowling alley, used by a diverse population in terms of age, class and ethnicity and standing on a busy crossroads in a fast changing neighbourhood at the intersection of three London boroughs. The research uses this example to examine the dynamics of contemporary leisure space in the context of processes of urban change in London and changing discourses of what makes ‘good’ urban space. There’s a difference in appearing on TV or radio as an expert to talk about a news item and going on to talk about your own work. The latter is less daunting, I’d rather mess up talking about my own work than mess up discussing immigration on the Today programme. As the host of Thinking Allowed, Laurie had some advice for those appearing on the show ‘don’t lecture. Academics are used to lecturing, but the art of radio is chat’. I also asked Laurie about how he pitches the discussion in terms of explaining to the listener. He said that the audience hate discussion of theoretical concepts ‘hegemony, liquid modernity…’but at the same time you can’t patronise the audience. ‘If you are talking about Freud say ‘Freud’ and not ‘Freud, the Viennese psychoanalyst’. This week I had the massive luxury of hearing others chat about my work on the radio. I was honoured to be shortlisted for the BSA Thinking Allowed award for ethnography and there was a special addition of the programme this week featuring a discussion of the shortlisted books, including my own. I found it quite moving to hear the words of a research participant being read by an actor on the radio. It made me think about another issue that came up at the at the BSA post-graduate day conference. During a roundtable discussion on careers there was a question about how much the contents of PhD thesis itself mattered, in terms of getting a job. The question wasn’t answered very fully – as time was running out- but the one brief answer was that the PhD was just a necessary hurdle to be jumped before getting onto the other stuff (the papers, the job, the books). But hearing those words, that were part of my PhD thesis as well as the book, read out on the radio was a reminder of how the PhD lives on in all kinds of forms, how the thesis is such an important foundation for those other things and also the deep emotional connection I have to that particular piece of work. I got the chance to discuss the book myself on Dave O’Brien’s podcast New Books in Critical Theory. This is a really excellent series and a great way of hearing about books you might not have time to read. A kind of extended and intense Thinking Allowed. The podcast is such a great medium for storytelling (at the moment I’m addicted to Strangers) I’m sure sociologists could make more use of this mode. I was also called in to Radio 4 last week to appear on a tribute to Doreen Massey on The Last Word alongside Dave Featherstone and Hilary Wainwright. This invitation was on the basis of a blog about her influence on my thinking on the CUCR blog. Funny how these little pieces can travel. 1: If you could only have four books on you island, what would you take?